There are numerous Congolese organizations in Goma that are looking for volunteers. 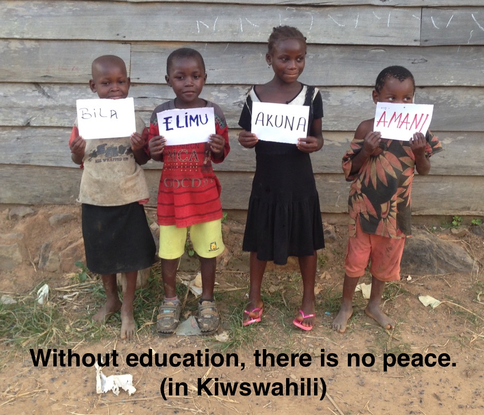 Camme is a registered Congolese NGO providing a safe place for children in Goma and in nearby Masisi territory. Children at CAMME have been orphaned, abandoned, conscripted as child soldiers and sexually exploited. CAMME offers a variety of formal education, vocational training, nutrition, health care, counseling, arts and recreation programs. To learn how to volunteer with Camme, check out their website, Facebook as well as Twitter accounts. Children and youth in the Eastern region of the Democratic Republic of Congo grow up with limited access to books. Goma, a city on the shores of Lake Kivu in Eastern DRC, has more than one million people but no public library. Universities have limited amounts of books available to their students. Public schools also have limited books and many children and youth miss out on the opportunity to increase their knowledge and explore their world through reading. Eastern DRC is known as a place that has suffered from over 20 years of war, but there are local organizations and institutions that are building a better future for children and youth in the country. This group is working with the local community to put books into the hands of more children and youth in Eastern Congo, helping to provide them with a better quality education. This project aims to support the creation of a library in Goma open to the public, as well as the distribution of books to some schools in Goma and Beni. Translating into which language? Local? or French? Already found? French and English. I guess we are working it out with google translate. They are doing better and in school now, thank you.